I don’t often feature non-fiction, but this is such a fun collection of creatures, I couldn’t resist! Who knew there were so many pink animals? 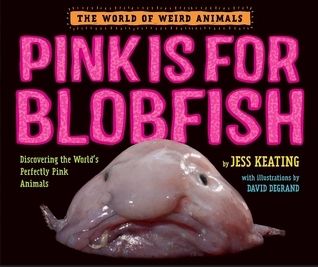 Pink is for Blobfish: Discovering the World's Perfectly Pink Animals was written by Jess Keating with illustrations by David DeGrand. It was published by Alfred A. Knopf in 2016. I liked the way this book was structured: each page is another unusual pink creature with a descriptive paragraph and a fun fact bubble and illustration. I love how, on the right side of the spread, there’s a list of all the key information—size, diet, habitat, predators & threats—it’s so easy to read. The descriptions highlight interesting details that are likely to draw in a curious reader. If I was a school librarian, this one would definitely be on my to-buy list. 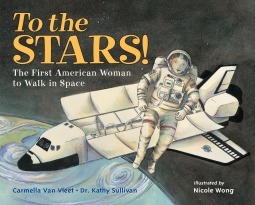 It would also be a great addition to a classroom non-fiction book collection. I'd use this one to discuss features of non-fiction texts. I can also imagine kids at reading time, pouring over the pages, intrigued by the idea of so many odd pink creatures! As a class, vote on another animal color. Research creatures of that color and have each student write their own page for a class book! Choose one of the creatures in this book and make it the main character in a fictional story. Use its habitat as your setting! Get out some pink paint and have students draw and paint their favorite creature from the book. Add a bubble with a striking fact about the animal and then create a gallery walk. Watch some of Jess Keating's Animals for Smart People videos on Youtube. Here's one about the nudibranch, an animal featured in Pink is for Blobfish. I had no idea what to expect with this one and the story surprised me. I really liked the illustrations. 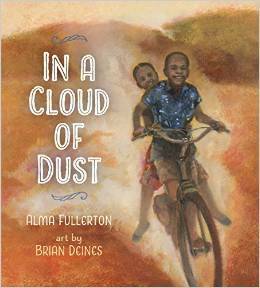 This book is one of the nominees for this year’s Blue Spruce Award from the Ontario Library Association. Peter, Santiago and Ahab are fishermen through and through. The sea is the place where they spend their lives. Still, they have dreams of other places and when the sea is gentle the fishermen talk of those fantasies — of sand dunes and camels, of hot-air balloons high up in the clouds, of fields full of rainbow-coloured tulips. On one of those dreamy days the fishermen make an extra special catch — a lobster as white as the clouds of Santiago's daydreams. Never before have they seen anything this extraordinary and beautiful! Surely this is a catch that should be shared with all! When word of the special lobster makes its way to photographers, marine biologists and reporters they all come to the village to see for themselves and share the story with their followers. Peter, Santiago and Ahab are eventually offered money for the lobster! As if such an extraordinary creature was theirs to sell!! The final offer is for more money than any of them could have ever imagined — a sum that would allow them to achieve their life dreams. But the fisherman realize it is impossible to imagine their life without the water and the sound of the seagulls overhead — and they need to return their special catch back to the freedom of its own watery world. 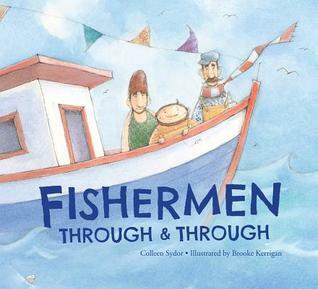 Fishermen Through & Through was written by Colleen Sydor and illustrated by Brooke Kerrigan , and published by Red Deer Press in 2014. 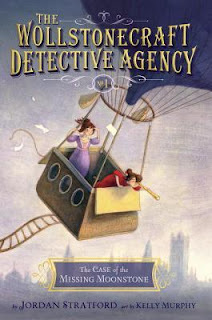 There is some really fun language in this book, such as “salty as the bottom of a pretzel” and “until the sun got snoozy.” The style reminds me of a legend or tall tale, and suited the story so well. It’s interesting that this story is told with three adult characters, too, a little different than the many books I’ve come across told from a child’s perspective. I love the underlying importance of nature in the character’s lives and the feeling of contentment that comes from the illustrations and life near the sea. The illustrations are soft and have lots of small textural details. 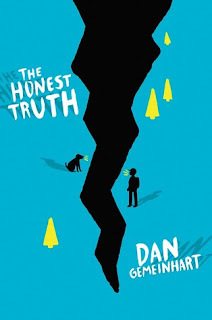 I liked the way this book made me think about living things and whether they belong in tanks or in the ocean, and how, sometimes, it’s hard to know at the time what is the right thing. This could be a good topic for discussion. What do you think the lobster did after it was put back in the sea? Draw a picture to show your idea. Do white lobsters exist? Do some research about lobsters. Find three interesting ways the author used language or description in the story. Talk about why they are interesting and how they fit (or don’t fit) with the story. This realistic story about a girl struggling to fit in tugged at my heart. A great read! 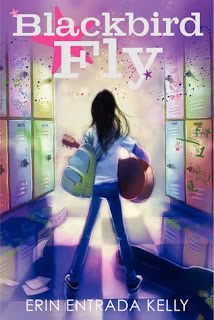 Blackbird Fly was written by Erin Entrada Kelly, illustrated by Betsy Peterschmidt, and published by Greenwillow Books in 2015. Love the realism and authenticity of this story! At times it was hard to read, because it reminded me a little of my own experiences with bullying. Apple was a likable character and I empathized with her, right from the beginning of the story. Through the story, I was rooting for her to begin to accept and love herself for who she is, and to find people who would accept her too. I especially liked all the details about the Filipino culture embedded in the story. From a writer’s perspective, I thought the dialogue and behaviour of the middle school characters were quite believable. This novel had a strong and unique voice. 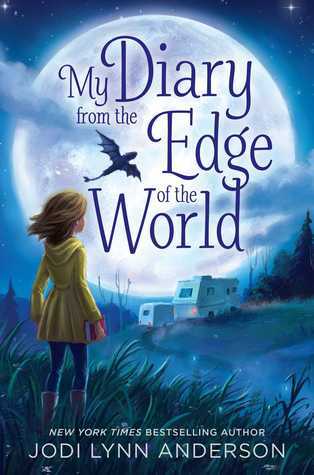 It’s a good example of a contemporary middle grade novel for anyone wanting to include diversity, or to take on a theme of bullying and racism. Love the natural way the author included cultural details. In Blackbird Fly, the main character, Apple, believes that every person has at least three interesting facts about themselves. Author Erin Estrada Kelly lists these three interesting facts about herself on her blog: 1. She’s Filipino-American. 2. She has chronic asthma. 3. She loves rare books. Erin wrote her first book in second grade – a story about two orphans. Check out the playlist of Beetles songs that Apple considers to be the soundtrack for her life. Have students brainstorm and write Three Interesting Facts about themselves. Reflect on the kinds of Interesting Facts people are willing to share about themselves. Would your facts be different if they were not for anyone else to see? Create a playlist of six or more songs that represent the soundtrack of your life. Why did you choose these songs? For each song, explain why you chose it and how it represents you. Discuss or write about Apple’s struggle to belong to her culture as well as to fit in at school. Why is it so difficult for her?